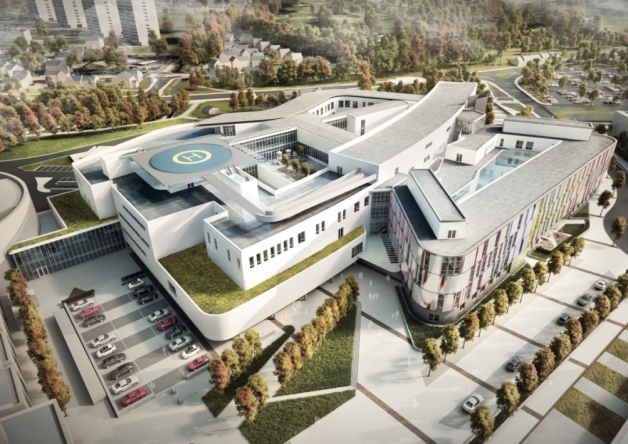 Many families in the East of Scotland will be familiar with the current Edinburgh Sick Kids hospital, or the Royal Hospital for Sick Children to give it its proper name, as the home of the children’s services at the Edinburgh Haemophilia & Thrombosis Centre. Plans have been progressing for many years now to move the hospital to Little France where the Edinburgh Royal Infirmary, and the rest of the Edinburgh Haemophilia & Thrombosis Centre is based. Now, Integrated Health Solutions Lothian and Brookfield Multiplex Europe have been names as preferred bidders. Preparatory work has already been going on in Little France but construction of the new buildings is expected to start later in 2014. We have contacted NHS Lothian to ask how best patients can get involved in the plans for the new building. Its really tremendous design. Too nice job. Thank you for sharing with us. Previous Entry Could you volunteer for the Parent Mentoring Project?